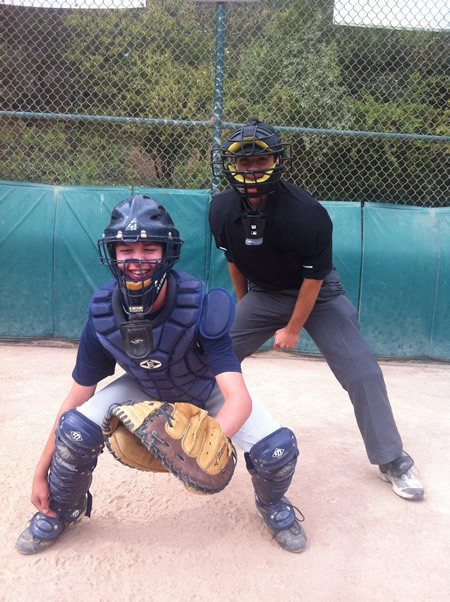 Stump The Ump was created to answer any baseball rules, game situation, or umpiring questions one might have. I am Jonathan Bravo and I live in the San Francisco Bay Area, where I am a junior in college at Fresno State University. I have umpired for six years, and for five multi-city tournaments. I am currently majoring in buisness administration with an emphasis in sports marketing. I enjoy answering any question about baseball, especially umpiring questions, so please submit a question that you might have about the rules of baseball, game situations, or about umpiring in general and I will answer it to the best of my ability. If there are answers you disagree with, please leave a comment on the answer and I'll be happy to discuss it further. Add Stump The Ump to your site! Search the site for questions that have already been answered.